Accuro Jersey Triathlon 2019. Sun 16th June 2019. Title	 Mr.Mrs.Ms.Miss.Dr.Prof.Rev. Title is required. I agree to my details being passed on to Mind Jersey Silkworth Lodge Littlefeet Environmental Oscar Maclean Foundation for them to contact me in the future, about the important work they do. Please check the box to confirm you have read and agree to the terms & conditions. I have read and agree to be bound by the donation terms & conditions. Mind Jersey is an independent local charity that provides support to people living with mental illness. Our vision is of a society that promotes and protects good mental health for all, and that treats people with experience of mental illness fairly, positively and with respect. Silkworth Lodge was opened 2002 by The Families in Recovery Trust which is a Jersey registered charity and part of The Silkworth Charity Group. We offer residential rehabilitation for men and women who are affected by drug and alcohol addiction. 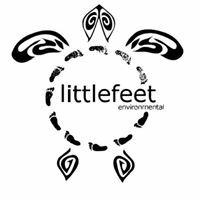 Littlefeet Environmental is an NPO that specialises in marine turtle conservation and research through community involvement and education. Littlefeet Environmental is a Jersey (Channel Islands) registered not for profit organisation. We currently work on the Island of Jersey conducting educational workshops and seminars that give Islanders the tools to live a greener and more sustainable lifestyle. The Oscar Maclean Foundation was set up on the 9 March 2014, a date that would have been Oscar's tenth birthday. A few months prior to that Oscar lost his courageous fight to a rare and aggressive form of brain tumour. The Oscar Maclean Foundation which was set up in his memory, aims to to provide additional support to local children and their families suffering from cancer and other chronic illnesses.